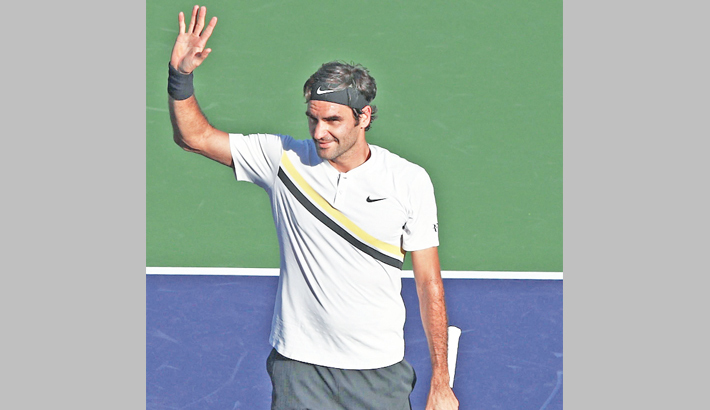 World number one Roger Federer finished off Federeico Delbonis in a rain-disrupted match on Sunday to reach the third round at Indian Wells as five-time champion Novak Djokovic was toppled. Federer returned to stadium court on Sunday afternoon and needed an hour to finish off his second round victory 6-3, 7-6 (8/6). “It’s been a long time since I have been interrupted at night and have to come back the next day,” Federer said.